From the beloved, bestselling creator of The Dot, The Word Collector, and I Am Human. 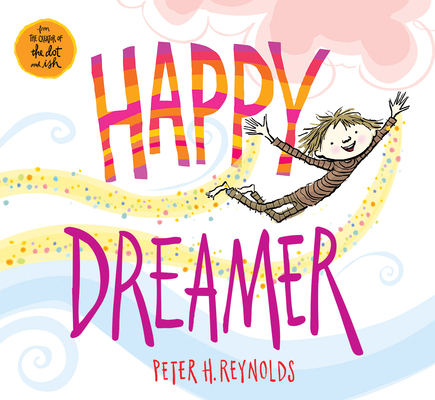 Picture book and creativity guru Peter H. Reynolds's inspirational book is a wonderful gift for graduations, new babies, milestone moments, and any happy occasion throughout the year. Discover a universally poignant celebration of the colorful spectrum of what it means to dream and the many ways to find happy! Peter H. Reynolds is a New York Times bestselling author and illustrator of many books for children, including The Dot, Ish, and Happy Dreamer. His books have been translated into over twenty-five languages around the globe and are celebrated worldwide. In 1996, he founded FableVision with his brother, Paul, as a social change agency to help create "stories that matter, stories that move." He lives in Dedham, Massachusetts, with his family. Visit him online at peterhreynolds.com.